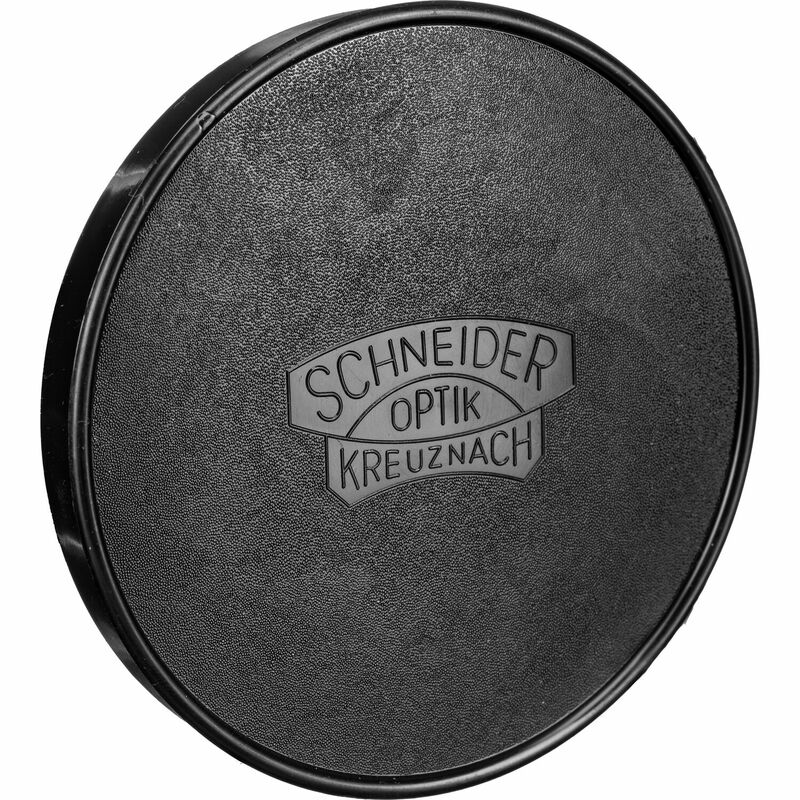 The 90mm Push-On Lens Cap from Schneider is a simple, soft plastic slip-on style cap designed to protect the front or rear elements of a lens when not in use. The cap fits lenses that have a front or rear ring with an outside diameter of 90mm; this size differs from the threaded filter ring diameter of a lens. Box Dimensions (LxWxH) 5.2 x 4.6 x 0.7"
90mm Push-On Lens Cap is rated 4.7 out of 5 by 3. Rated 5 out of 5 by Anonymous from Schneider makes Good lens caps Schneider makes good lens caps. The top is domed outward which makes it stronger and offers more protection for the lenses. Also, there are ridges which make sure dust isn't pushed in between the lens elements and that the fit is snug. Rated 4 out of 5 by Marek from replacement for Contax 89mm K-84 cap I bought it to use it as a replacement for Contax 89mm K-84 cap. It is 1mm larger hence it required some padding on the inside. Rated 5 out of 5 by James from cap fits my lens securely the cap grips the lens securely, and is easy to push on and to remove. It is worth it to protect my lens.